Are you an event planner wanting to make sure your interns have the best internship ever? Or maybe you’re a prospective intern who wants to make sure you are applying for and accepting the best possible opportunities? Either way, you need to know what makes a SUPER internship and luckily for you, you’ve come to the right place. 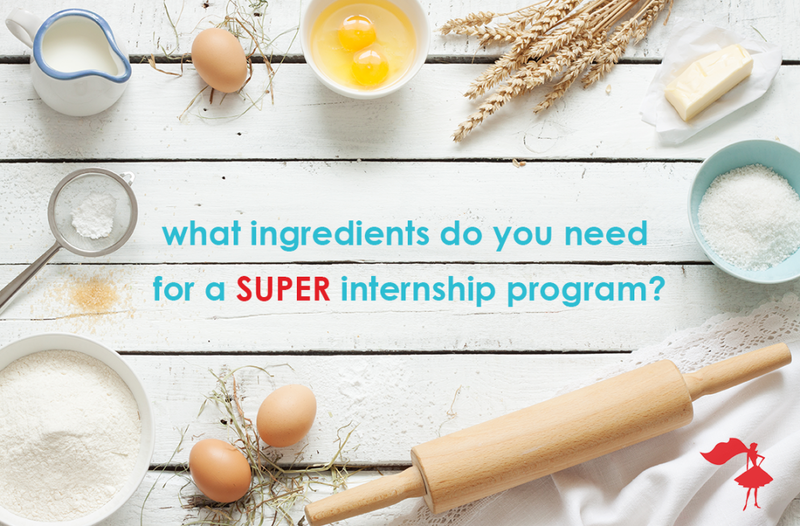 Here’s the four steps to putting together a great internship program. Interns are like the eggs in a cake… If you pick a bad egg, then the whole cake is ruined before it’s even in the oven. I guess you could call a mentor the sugar in the recipe. Sugar makes people happy (let’s ignore all of the health issues for the moment) and gives you a burst of energy. A cake without sugar is just…wrong. Nobody wants that. Mentors are the key ingredient in a great internship program. Interns need support and guidance to reach their full potential. A good mentor knows how to motivate, push and boost an intern, but also knows how to make sure that they are happy and fulfilled in their role. To be a great mentor, you must really value education and love to see other people grow and flourish, when you share your insight and knowledge. It doesn’t matter how good your ingredients are if you just leave them on the kitchen counter or throw them in the oven blindly and hope for the best. You need a cake tin and exact timing and temperatures – you need a plan and structure. You can’t just assign your interns with complicated tasks and hope that they’ll figure it out. They need well thought out training and guidance! That way, they develop the skills and knowledge to be an effective member of your team and your firm gets more work done with less stress. If you don’t have the time to dedicate to creating your very own intern training program, why not sign up to The Apprentice Program? We help you onboard your interns quickly and without stress, ensuring that they have the tools and knowledge they need to help you take your firm to the next level! 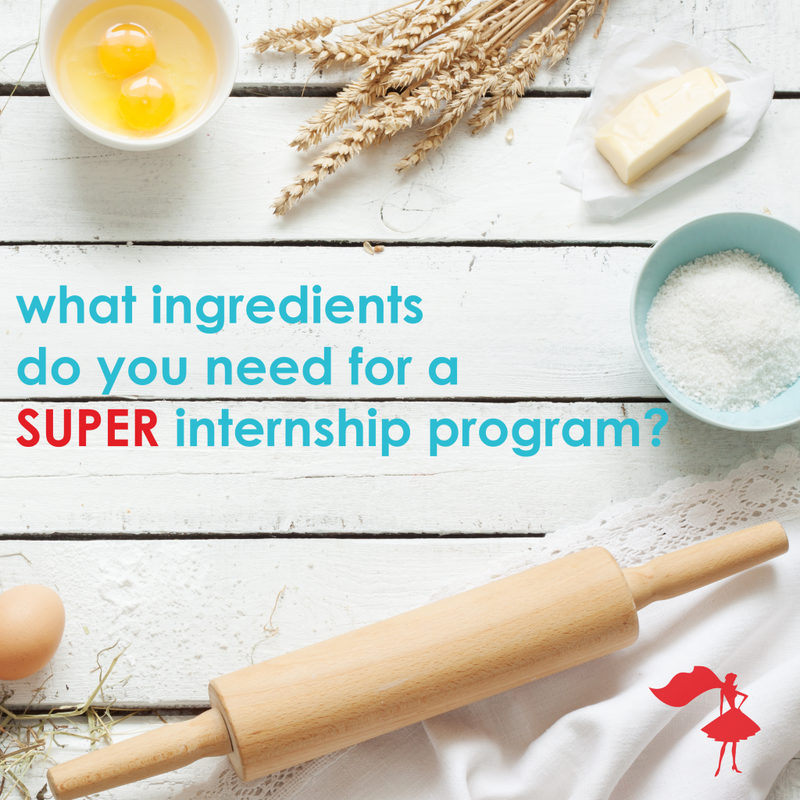 Leave a comment below – what do you think are the essential ingredients to make a great internship program?